This page explains how to access the Remote Desktop service from a Windows PC. It was tested on Windows 10, but the Remote Desktop client is very similar on earlier versions of Windows. 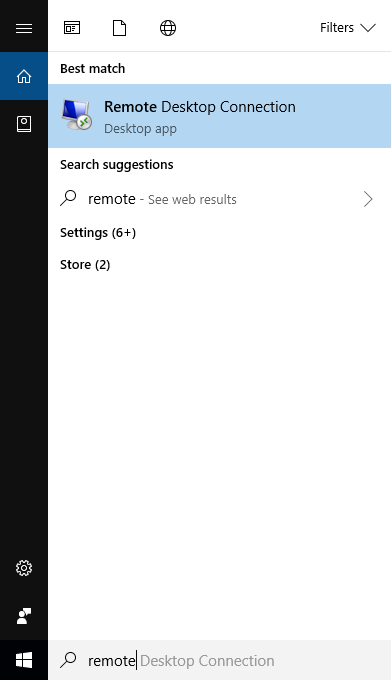 Click the Start Button and search for remote. 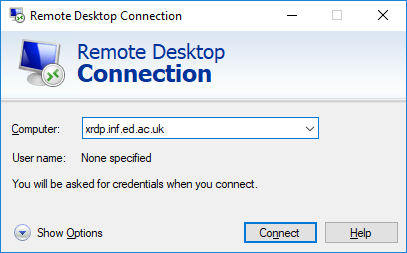 From the search results choose Remote Desktop Connection. The Remote Desktop client should appear. 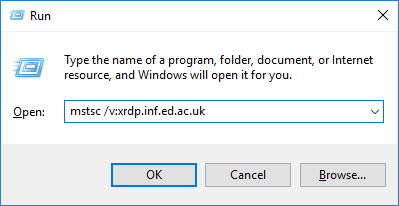 In the Computer field, enter xrdp.inf.ed.ac.uk or if you want to use the staff/visitor/research postgrad service staff.xrdp.inf.ed.ac.uk. 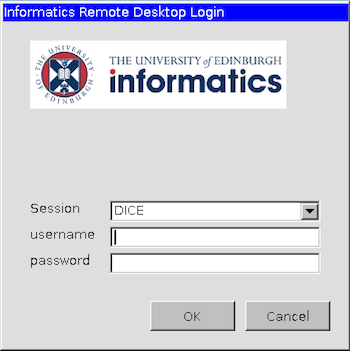 Use your usual DICE username and password to login. When you have finished, please log out of your DICE session.